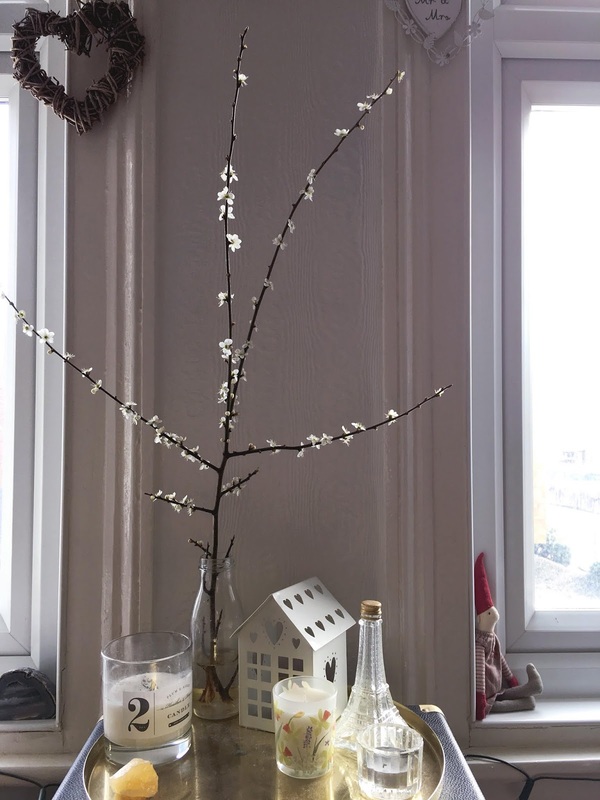 Spring, my favourite season. Been and gone in a blink of an eye. 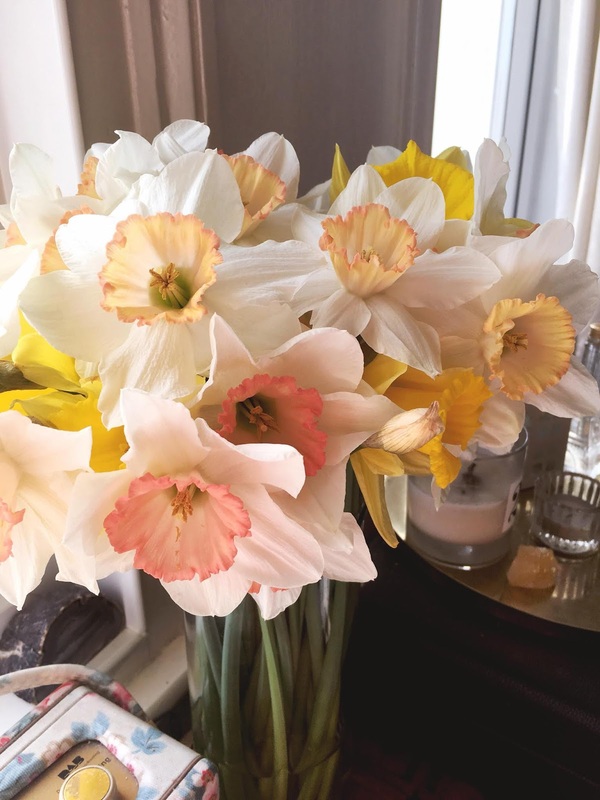 Winter dragged out and well and truly out stayed it's welcome and the moment we got some warm spring weather the stormy winds quickly came and took out all the beautiful blossom and freshly bloomed daffodils and tulips. And now it's Summer. 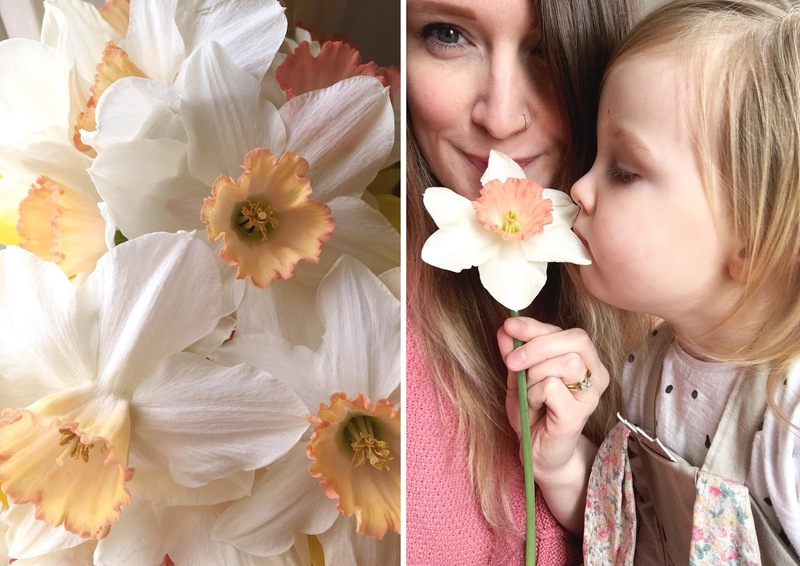 So I thought I'd share some of my favourite moments of Spring whilst I hide inside from the breezeless heat. 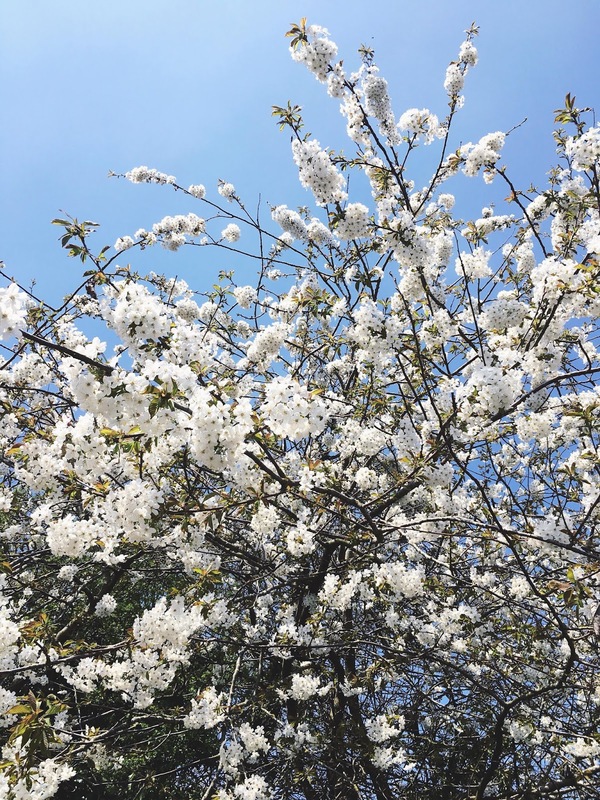 Light blue skies and blossom on walks to picnics in the park with a play date for Olive and some Mama catch ups. Birthdays. 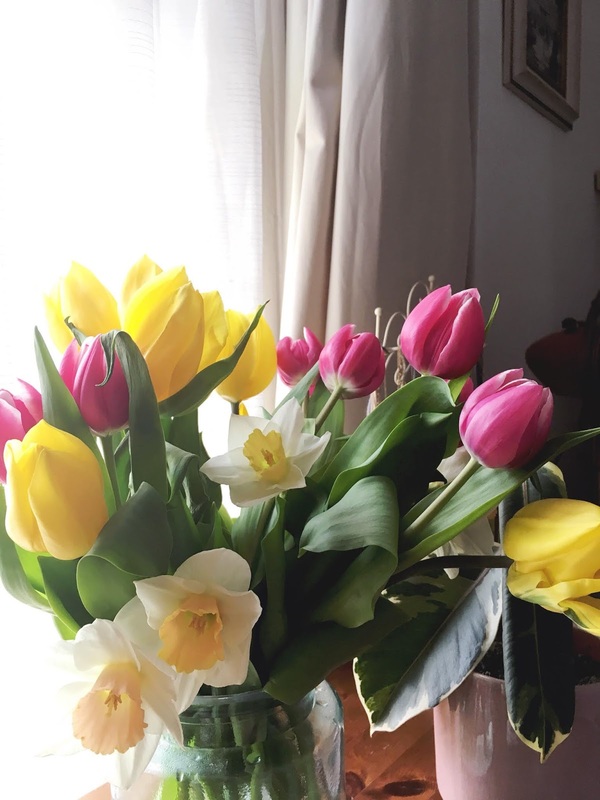 Quietly turning 31 and receiving ALL the beautiful springtime blooms, so much so that I had to improvise with vases! Feeling all the love and gratitude. 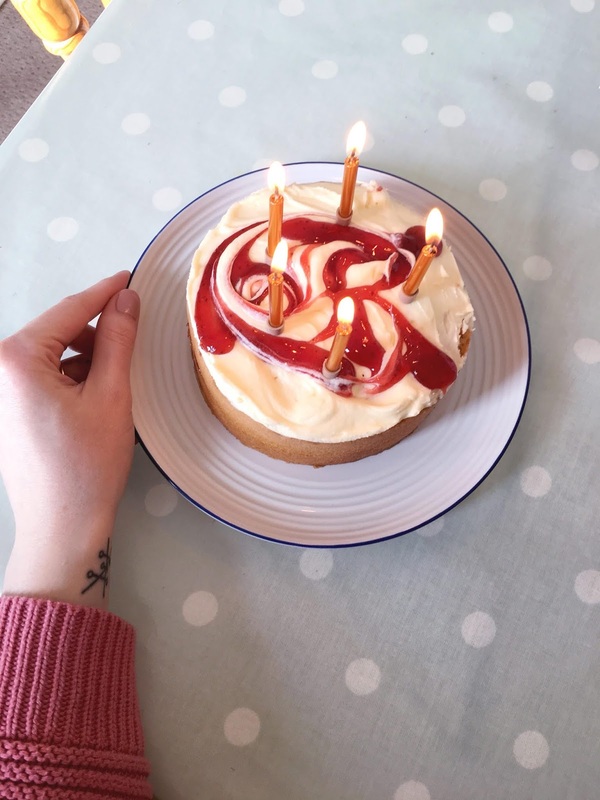 Homemade millionaire shortbread gifts, strawberry and clotted cream cake, Olive's singing and the biggest birthday morning cuddle ever, thoughtful gifts from my little wishlist and the best pizza lunch date with my two favourites. 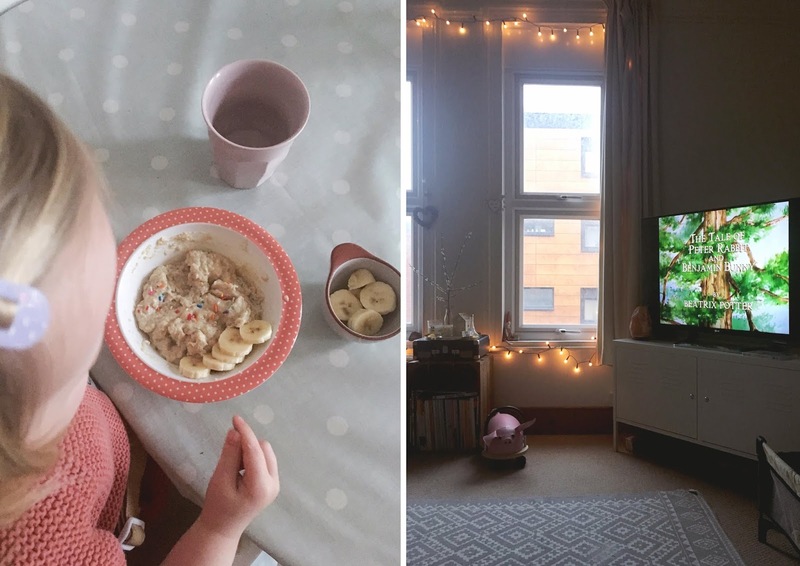 Cosy home days with Olive during the April showers. 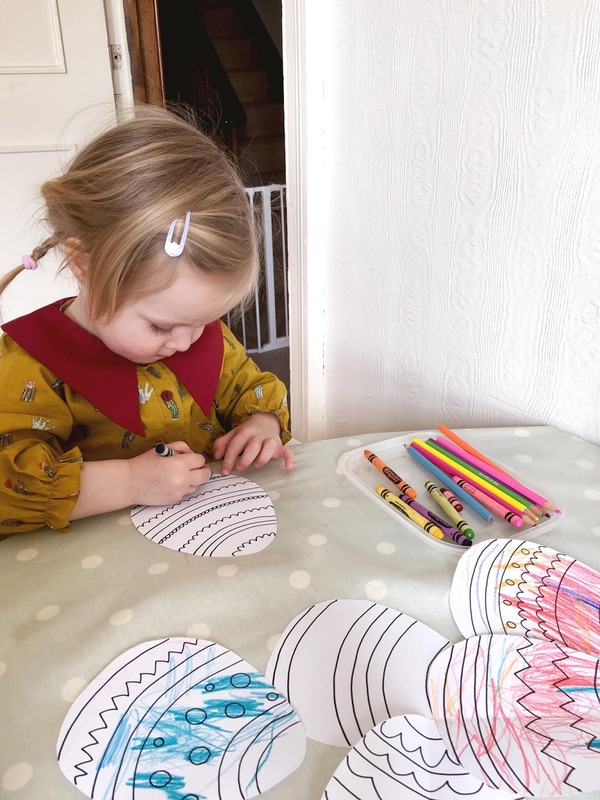 Bambi watching whilst snuggled up on the sofa, bunny dress up and so much colouring in. 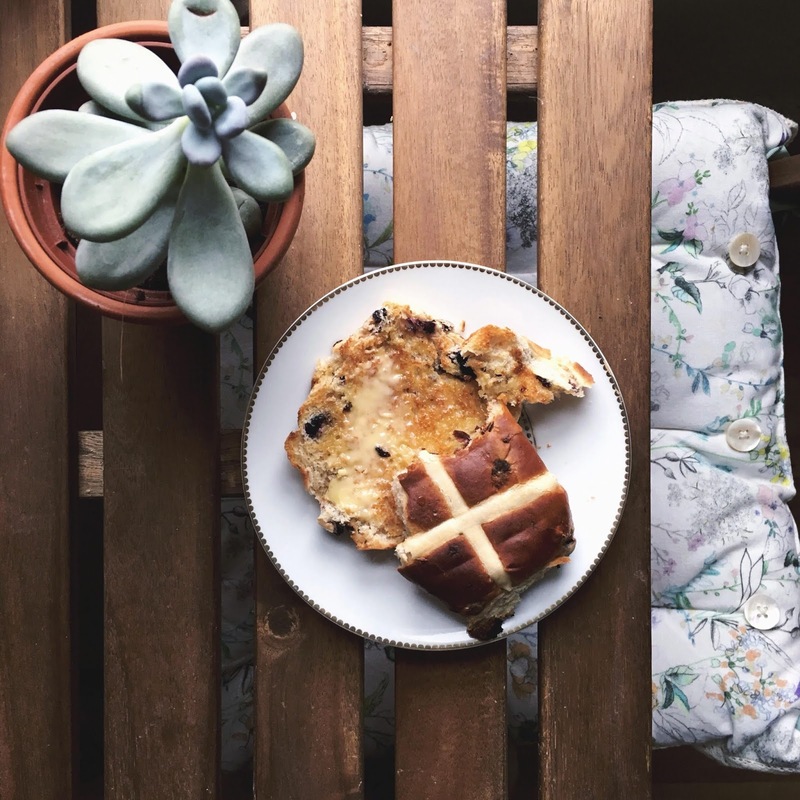 Baking together with ALL the sprinkles, hot cross bun sharing and peachy pastel daffodil admiring. 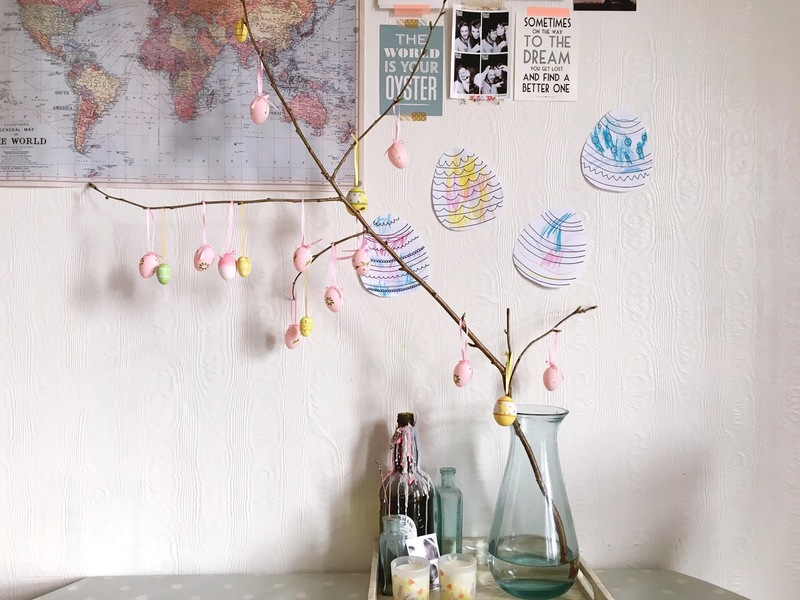 Breezy walks and stick collecting, Easter crafts and more colouring in, Easter tree decorating (my first time doing it!) and bonnet making. 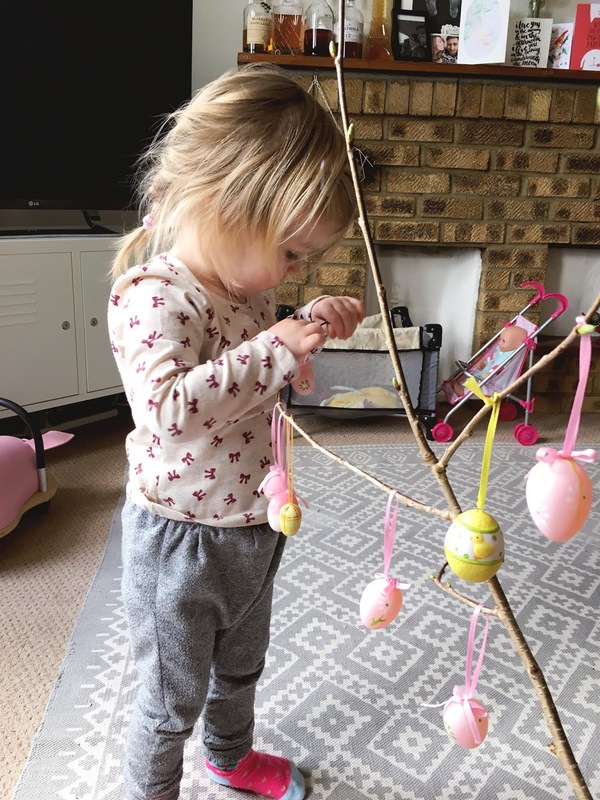 More hot cross bun nibbling and early morning of The tales of Beatrix Potter watching and special Easter porridge with colourful sprinkles. 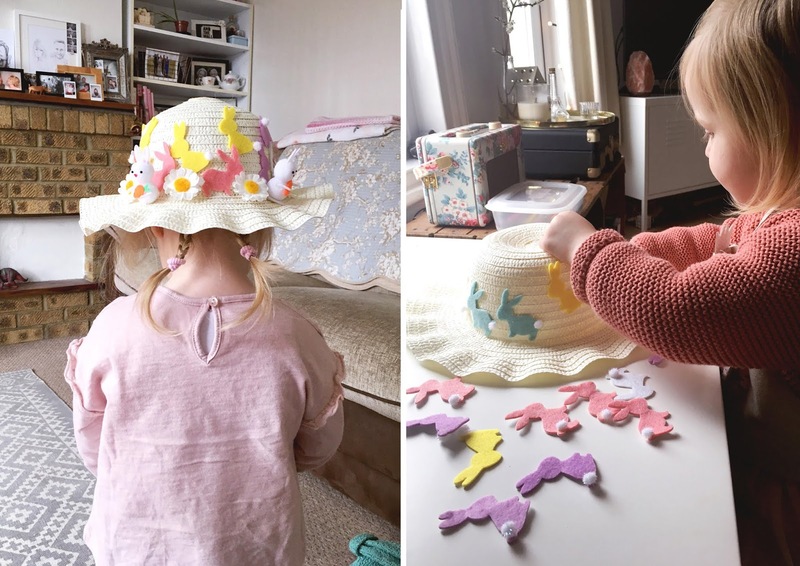 Easter gifts of foiled covered white bunnies, dinosaur pyjamas and a lovely dinosaur story book. Being little is so much fun! 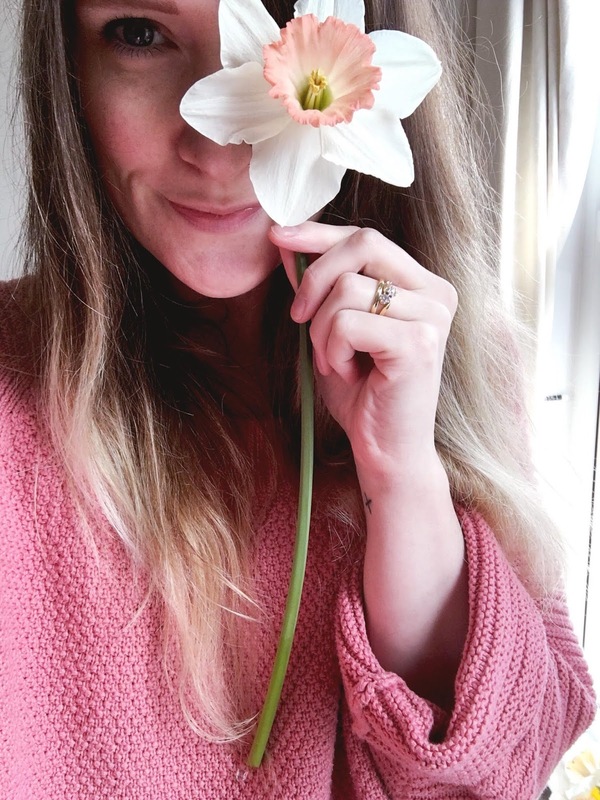 I hope you have had a lovely Spring and have some wonderful Summer plans. I hope to have a slow one, with lots of breeze, lots of ice cream, lots of picnics, seaside visits and pretty dress wearing. Those flowers are absolutely lovely. Looks like you had a good spring!